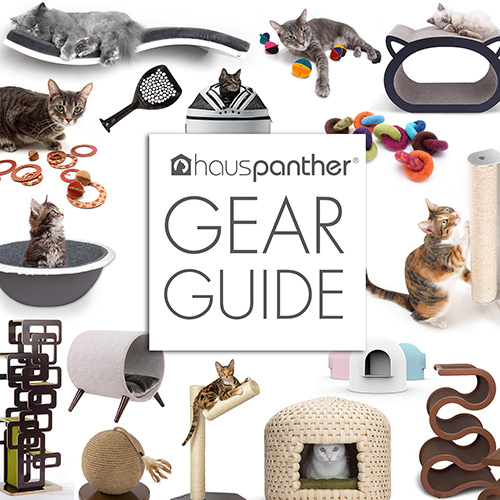 Enter to Win the New Elevation Jr. Cat Tree from Contempocat! The new Elevation Jr, Cat Tower from Contempocat is now available and to celebrate they are giving one away! All you have to do to enter is follow this link and enter your email address, that’s it! These special launch offers will be good through April 30, 2018. More info at contempocat.com. The Elevation Jr. is a freestanding cat tree designed with modular platforms that can be positioned anywhere on the central column. 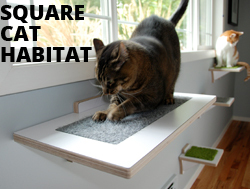 Create a totally customized climber for your cat! Love the designs! If we win we may donate to someone who can’t afford their own. That is so generous! May I suggest meowornever.org as the donor if you win? 🙂 They are an Atlanta non-profit cat rescue. Wow! I love the design! Our old post of 10 years has seen its better days. I believe it’s held together by cat hair! I love the bridge design. The link to the contest does not appear to work correctly. Fingers crossed our rescue, PURR Paws Up Rescue and Resources wins one for our cat adoption center!!! I would love to win this, it would make it easier for me to leave my cats each week for cancer treatments. They just don’t understand why mom is gone 5 days a week, home only on weekends for fur therapy. Is this open to Canadians? I couldn’t find any rules. Love the design of it that it doesn’t have carpet all over which is always hard to keep clean since I have 4 rescues in my home that got left behind by the neighbors when they moved. Could really use this right now for them in the sunroom. Was there a winner? Nothing’s been announced on their website or FB page nor do they respond to inquiry of … leading me to wonder if there was a legit contest to begin with.